Eliminate unwanted smells in your house or facility with air fresheners and odor eliminators. Many even safe enough to use around pets. Air fresheners are designed to reduce odors in the air and are generally less expensive than a neutralizer because they are used to cover the odor. Odor eliminators are a product that does not cover odors but eliminates them. Odor eliminators work to combat the odors at their source by creating a chemical reaction with the unpleasant scent in the air. A limited disinfectant is effective against only a specific major group of microorganisms such as gram-positive or gram-negative bacteria. A broad-spectrum disinfectant is effective against both gram-positive and gram-negative bacteria. 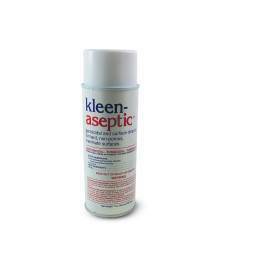 A hospital grade disinfectant is a broad-spectrum disinfectant that is also effective against the nosocomial bacterial pathogen Pseudomonas aeruginosa. These are generally used in hospitals, clinics, or other health care related facilities. Find laundry detergent here as well, perfect for cleaning those scrubs. Med-Vet International also carries a variety of wipes ranging from PH balanced wipes for patient care, to germicidal wipes for surfaces. Shop for your cleaning supplies here! Cavicide Disinfectant Spray, 24 fl. oz. DETERGENT, INSTRUMENT, LOW SUDS, GAL.